Międzyzdroje is a Polish seaside town with a friendly and vibrant atmosphere, attracting tourists from far and wide in the summer months. With sublime beaches (including Lubiewo nudist beach), a large number of amusement arcades, some quirky attractions and an eclectic range of bars and clubs, this is a place not to be missed. In the heart of the town, there are bars, cafés and restaurants on every corner and in most hotels, so you can be spoilt for choice as to where you sip that sunset cocktail or midnight vodka. This list shows the top seven bars in town. Café Melba Beach Bar is a pure gem of a party bar for the summer months. It sits directly on the beach and has very lively bar staff, outrageous cocktails and events such as live music and special parties. This is a real place to let your hair down only metres from the Baltic Sea. By day, there are deck chairs outside, and the venue does a good coffee, too. In summer months, Międzyzdroje has a warm climate, and a lot of these temporary outdoor bars are a perfect place to mingle. 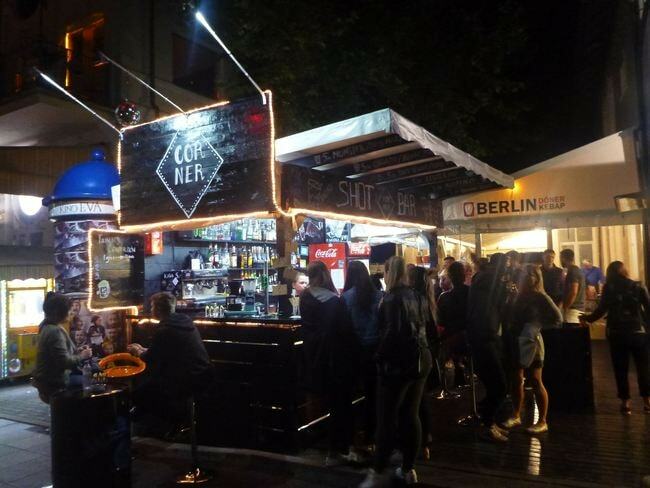 Corner Shot Bar is an outdoor venue on a prominent corner in the heart of Międzyzdroje. It is here that you can try a range of shots and cocktails, all served from a cosy open plan bar just minutes walk from the pier and beach. 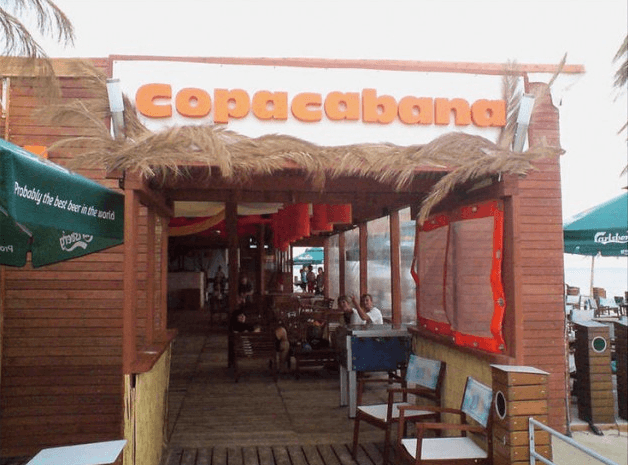 With its Brazilian sounding name and beach location, Copacabana is yet another popular party venue at which to sample sumptuous cocktails for sunset. People also like to dance here at night, and it has a front balcony and a stunning view of Poland’s Baltic Coast. There are also parasols to protect you from the hot sun on summer days. The name says it all about this venue – Beach Bar is right on the main beach and pier and arguably the coolest place in town in which to sip ice cold beers and eat top-notch seafood. It also stays open past sunset and until midnight should you need a final beer, wine or whiskey before heading to your hotel to sleep. 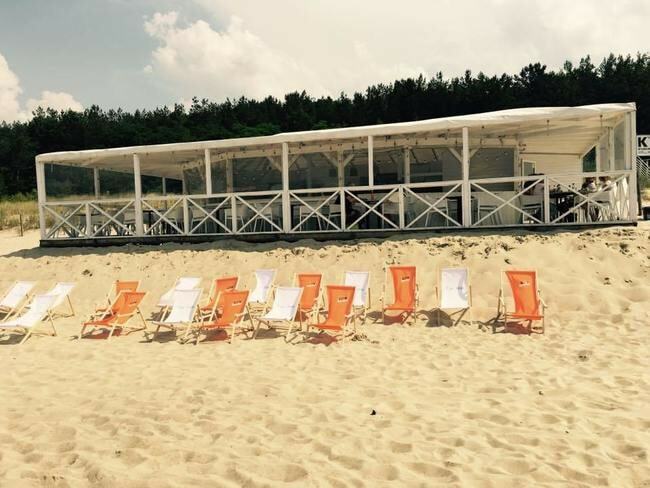 Bar Keja is a quiet and cosy venue just a few minutes’ walk from the main pier and beach in Międzyzdroje. It has a modern interior and space for seating outside on hot summer days when the place gets busy. A European food menu includes pasta, pizza and good salads, while the bar typically serves a good range of wines and beers with plenty of non-alcoholic options, too. Bistro & Pub Nemo is one of the more well-known venues in Międzyzdroje and is also situated in the heart of the town’s main hub, on Bohaterów Warszawy. Nemo’s food menu is huge, with lots of salads and soups, a vast assortment of fish dishes, superb Polish specialities as well as some truly delicious steak and chicken options. Cocktails continue to be colourful, and there is a wide range of bottled beer. At night, there is plenty of entertainment as well, with live music and dancing. Restauracja Neptun is a trendy restaurant and bar right by the leafy gardens and park in Międzyzdroje and opposite the popular Wax Museum. The venue has a large food menu with no shortage of options to suit all tastes including vegans and vegetarians. Fish dishes are well recommended here, as are the soups. Seating-wise, there is plenty of space outdoors on hot days as well, and it makes for a good venue for family lunches and dinners. In the evening, try a cool beer or wine at the bar.